Contrary to the popular belief, free spins is a quite new feature. Slot machines worked with mechanical gears until the 1960’s. You had to pull the arm down to turn the cogs – just like setting a clock. For this reason, both the graphics quality of the games and the features they possessed were limited. In 1961, Bally developed an electronic gear system instead of mechanical gears. The reels were able to turn themselves, and visual elements such as lights and sound effects can be used in the games. At the beginning of the 1970s, IGT Company developed the first real video slot game. Everything was electronic – there were no gears, and computer software was controlling the reels. Since everything that is visible on the screen can be controlled, features like free spins started to be added into the games. We do not know which game used this feature first, but we are confident of this: Free spins have been a feature in nearly every video slot game for about 50 years and make our life easier. What Are Free Spins and How to Use Them? First, we need to explain how a slot machine works. You know what the purpose of these games is: putting the same symbols on a pay line. The pay lines are the actual lines and connect the two ends of the reels. You cannot see them on the screen, but they have a shape like a zig-zag, and they are many in numbers. In almost every video slot game, there is an average of 20 lines. This number can sometimes reach up to 1,024. The important thing is that when you are playing in slot machines, you place your bets per line, not per spin. Let’s say that the minimum bet amount is 0.10 coin and the number of lines is 20. Every time you turn the reels, you will be actually placing 2 coins instead of 0.10. If the number of lines is more, this amount will increase. If you are not aware of this situation, you can consume your budget in a very short time. The free spins feature eliminates this disadvantage. As you can guess from the name, this feature allows you to spin the reels for free. Moreover, if you gain a profit during this time, you are allowed to keep it. In other words, you play for free and still win real money. There is one good news too: In most slot games, when this feature is active, the multiplier amount increases several times. So the amount of reward you earn is multiplied by a certain number. The number of spins you get varies from game to game. We can say that the average number is 20, but in some games, it can be up to 200. Before you start playing, check the paytable screen: You can learn the exact number here. Special Symbols. A special symbol at a certain number must appear on the screen. This symbol is usually the “scatter”. In the same way, it is often necessary to get at least 3 scatters. When this condition is fulfilled, the feature automatically switches on and the reels start turning automatically. So you do not have to do anything else. Another advantage of the scatter symbol is that it still pays even if it does not land on a line. A Trigger Event. In this system, a special symbol is still used, but the round does not start directly. First, you have to complete a round called “pick me”. You choose from several closed boxes, and you earn cash rewards as well as spinning rights. Sometimes you may also be asked to play a mini-game suitable with the theme of the game. Free spins is a very popular feature, and it is included in almost every online casino’s bonus offers. It is usually a part of the welcome bonus and you can get 25-100 spins just by becoming a member. Virtual Casino Free Spins – Are They the Same? Yes, we can say they are generally the same. 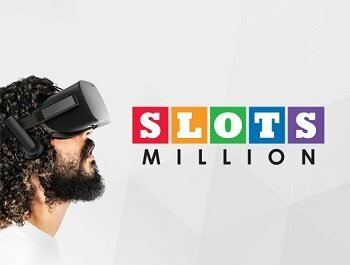 Free spins for virtual casinos work under the same principle too: You play VR slot machines and spin the reels for free. As you know, VR technology allows you to play in a three-dimensional environment. You control these games with your hand gestures. This control freedom allows different trigger events to be used. In addition to the methods we have explained above, you may need to make various movements with your hands or control the reels with body movements. But the result is the same: You get to spin the reels for free. Another difference is that VR slot games do not support a no download feature. You have to use mobile apps for such games. VR technology is still in its infancy, and there are only a few prototype games at the moment. For this reason, it is not possible to give precise information. At present, only Netent’s Gonzo’s Quest game can be played as VR. By a couple of years, we will start to see even more examples at online casinos. 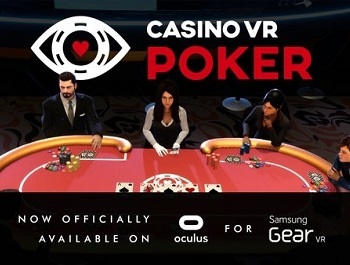 At present, the number of VR casinos is very few, so you need special resources to find promotions. Our website is one of the richest sources in this regard, and we offer exclusive bonuses as well as exclusive promo codes to our visitors. By following us, you can get actual information about different campaigns and learn about the best offers. We provide codes and promotional information for both UK casinos and other places in the world.